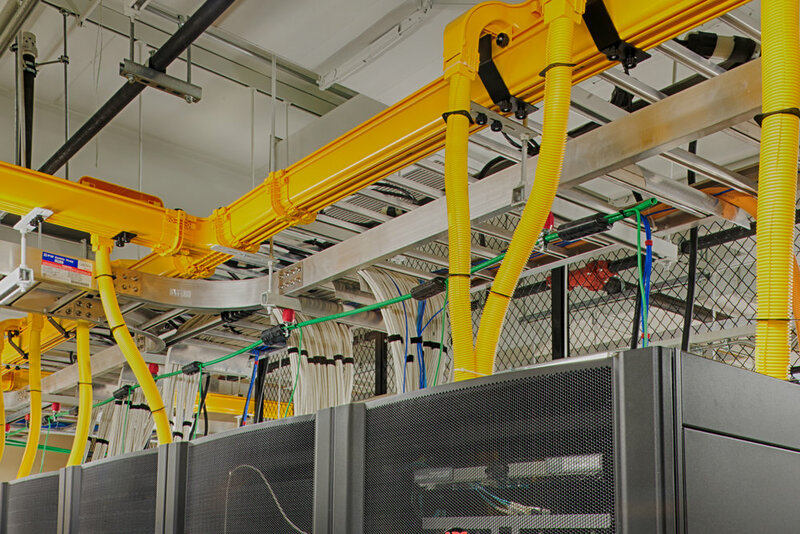 This Tier II+ data center is part of a successful ARRA (NTIA) stimulus proposal to construct 134 miles of new fiber to bring broadband services to West Central Virginia. The project is a public-private partnership that includes local governments as well as Washington & Lee University. Designed as a LEED certified building, the facility has 2,400 s.f. of raised floor data center space. Twenty-five percent of this houses the Washington & Lee University cabinets and racks while the remainder is dedicated to co-location services. The rest of the building contains 2,000 s.f. of office/conference space and support functions. The facility and the electrical and mechanical systems were designed to be scalable and expandable. The building was positioned on the site to accommodate for future expansion. The mechanical system throughout was designed as N+1 with dual generators and the ability for a third. The power distribution is fully redundant with modular expansion capacity and dual A&B power feeds to critical data center loads.